Home › Blog › Back To School! Are Checkups Part Of Your Checklist? Fall is a great time to assess your health goals and get back on track after a leisurely summer. Let our practice help. 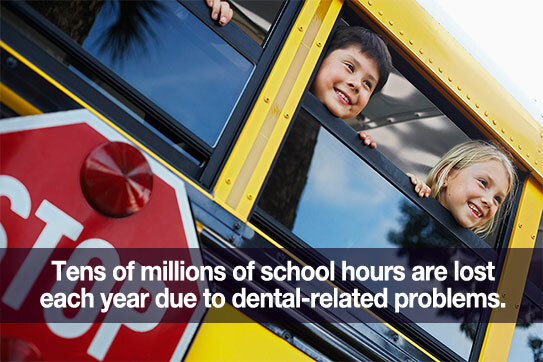 Be sure dental checkups are part of your back-to-school checklist. Checking Existing Dental Work: We check fillings, crowns, sealants, etc. Have your children brush twice a day with a fluoride toothpaste. Remind them to brush gently and pay special attention to their gum line. Teach the good habit of flossing each day. Give kids healthier snack foods such as fresh fruits and veggies. If the children in your life like to chew gum, offer sugar-free options. Always talk with our team if you notice any unusual oral health changes. A big part of our role is helping parents, grandparents, uncles and aunts better monitor children’s oral (and overall) health. Preventative dental care is one of the most important things you can do for yourself and for your family! So be sure to contact us if it’s time for your regular appointments. Thanks for being our valued patient! Send us a note below, or a direct message on Facebook if you have any questions or concerns.